A fun time had by all, especially that guy in the red suit..
At the most recent BMC Comps Committee times were agreed for qualification to the GB Speed Team. These will be listed on the BMC website shortly. 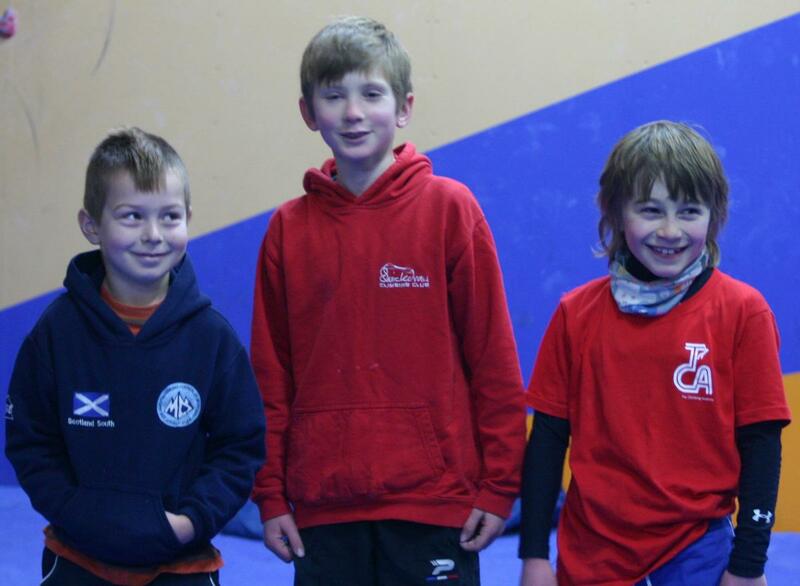 They are also hoping to get funds for a Youth Bouldering Team at a Council meeting next month so fingers crossed. If the money becomes available selection procedures should then be announced. Need to rename the SYBC the QYBC after today's results Full results here. 14 - 16 Girls Rachel Carr and 17-19 Boys Calum Forsyth. Only Scott Keir spoilt our clean sweep taking 14-16 Boys title. Some excellent climbing all round.